I've made my journal semi-friends only. Most of my entries will be friends-locked. This includes most of my media lists posts, so to access the downloads, comment here and I'll add you. Exceptions are random posts like youtube links, my tcg posts, and my media list updates. It's been a really long while since I've posted here eh? Oh livejournal....My last personal entry was exactly 1 year ago today. Lol. Hahaha, I am looking at all my older entries from when I started in 2004. Oh how time flies. I did a trans this afternoon after I saw a new comic posted up on the BANGS website! Then I spent the rest of the day filling out applications for more government jobs (yay...), and finally finished putting the trans on a template just a few hours ago. Oh which brings me to... I joined the YGOneLove subbing group the other day. Maybe this will be enough reason for me to keep practicing on my Korean.^^ I've gotten so rusty. darn imageshack resized it... okie, go here, under the section "최근 새글" (on the right) and click on "Episode. 2 뱅스 - 빨강 노을 012 ~ 014"
Okie sleep... had turkey for dinner tonight... soooo sleepy. Yes, I've decided to change my layout again. I loved my YooSu layout, but the colour was starting to get on my nerves. So I made a new one quickly. I don't know how long I'll have this one up for since I'm not very happy with the header. And even though I love blue, the colour scheme is... blah. But I really really couldn't stand the ugly salmon pink layout anymore. lol. So yes, it's up. I should play around with the layout of everything later when I'm actually awake. Or knowing me, I'll probably leave it the way it is cause there are a hundred of other things left to be done. I hope I don't catch anything serious before my trip to the Dominican Republic. It's only a month away now!! Kyah!!!!! *dies* I'm so excited. I know I basically just got back from my trip to China, but it's been so long since I've done any serious travelling... so I'm splurging now. My bank account cries, but it's okay! Okay sleep time. It's getting late. [Life] HAPPY LUNAR NEW YEAR! 新年快乐! Welcome to the year of the Ox! I know, I know. I've been gone very very VERY long! I'm so sorry for that!! And many other things in between that have made these past few months ones that make me both happy and sad at the same time. It's almost the 26th here in Canada, so.... I wanted to come on here, even for a few minutes to wish every a happy and prosperous new year! Technically it's already the new year in China. But it's the year of the Ox!! My year!! Yay!! lol. Not only did I get to spend the day today with my parents and brother. I also got to spend it with my boyfriend since it's our 9th year anniversary! I can't believe how fast the time has gone. I'm happy that we are still going strong! And before I forget. HAPPY BIRTHDAY TO THE WONDERFUL KIM JAEJOONG! Well I should go to bed. I have to be up early for our family breakfast, and I also work early tomorrow. [Yay-ness!] And so it ends, with a BANG! I finally got to watch the closing ceremony! I'm sad, but it was awesome! Makes me wish I did go to China to watch it, but that would have set me back on funds... for the rest of my life. lol. I had a lot of fun watching it on TV anyways. I felt myself tear up at many points, and there was this swell of pride within my chest. There are so many highlights. I loved how the athletes got a chance to take part in the whole ceremony, the dancing and mingling. When I saw Canada walk out, I jumped up and down. Though we aren't anywhere close to the top of the medal count, I am very happy at the 18 medals we were able to get. Plus many of them broke personal bests, and that is quite a feat too! They've worked so hard... every athlete of every country has. I loved when some of the athletes stole BeiBei's head and starting posing with it. xD I still cringe in thought of the outfits this year though. I thought it was a really bad joke when I walked into The Bay and saw those on sale last last week. I mean, funky design and all... but it reminded me of hippy pajamas. xDDD It was funny how so many of the athletes made personal fashion statements with them. Triple decker hat, bottle hat, face mask, etc etc. I liked the shirts China had. Oh, there was the guy who held the Brazil sign who looked sort of like William Hung! xD The fireworks were really nice, and all the dancing and acrobatics. Just wow. S.Korean athletes were waving around the Chinese flag too. Ohhhh Bi (Rain) performed! It took me a few second glances to realize it was him! There was also Kelly Chan, Wang Lee Hom. Omo, I almost thought they forgot to include Andy Lau and Jackie Chan in the festivities (which would have been really wrong)... cause I was watching the performances, but they didn't show yet! But when they did.... kyah!!! <33333 It's always so much fun watching Jackie perform! Love him to bits!! I have to give a lot of love to CBC's Ron MacLean. I mean, he gave so much effort and time to make sure we people back here in Canada got the full feel of the Beijing games. I'm surprised if he got any sleep really. Then the news about his mother... having to go back home... and missing the closing ceremony. He was so calm when he broke the news to us too... that man is full of class. I mean come on, the man can put up with Don Cherry during the hockey season without ripping his hair out... enough said (though I do like Mr. Cherry too... at times. He's a nice guy.). It was a good night. So sad the olympics are over... but there's always London 2012!! 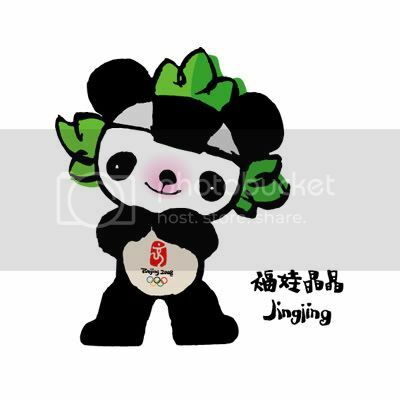 I still want the JingJing Fuwa mascot! I found small plushies of BeiBei, HuanHuan, and YingYing in Chinatown the other day... but I really really want the JingJing one! Ebay is my best bet. Should I get it?? 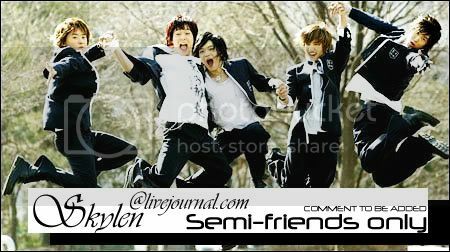 [Life/Spazz] Rock U Body I Say!!! Have you guys listened to Taeyang's new solo album?? Oh YoungBae, you make this noona so happy! The title fits the whole album so well, HOT. 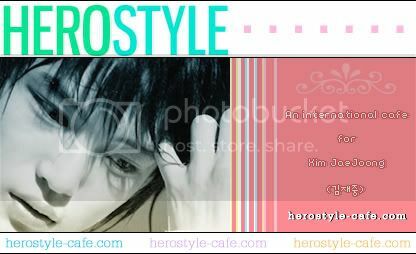 [Fun] HEROSTYLE (Jaejoong fancafe) website pimpage! I am the pimp master!! Today, or well yesterday, was Herostyle website's official opening! Yes you've heard right, Herostyle is now a website! After a couple of months of brainstorming and lots of trial and error, it's finally here! For those of you who are not familiar with what Herostyle is. We are basically an unofficial international fancafe for Dong Bang Shin Ki's Kim Jaejoong! We started out back in September 2007 as an invisionfree forum, which grew faster than anyone expected! With daily/nightly spamingchats in our forum shoutbox (*sigh* I will never forget our random RPGs). xD Well, with the brilliant idea from our leader-ssi, Tiffany (aka Tiffy), and the dedication of the website team (Lily aka zboards-queen-in-my-eyes, Tiffy's friend Lisa, Solus, and myself)... it's finally ready and open for our wonderful members! Our first Jae Birthday Project was a sucess, and now we've already started brainstorming for Jae Project 2009! You can see pictures of the past project and get more info on future projects under the PLAY section. [Fun] I'll Be Your Tinkerbell Fairy blogcrew pimpage! But this time for a blogcrew Chibi ( adachibiko) made called I'll Be Your Tinkerbell Fairy! You can claim your favourite member from Dong Bang Shin Ki, Super Junior, Big Bang, and FT Island! It's first come first serve so, get your claim in soon!